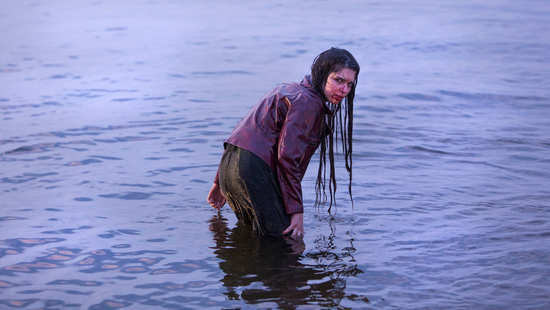 I didn’t really know what to expect with ‘The Lure’ (aka Córki dancingu) but it wasn’t this. No one could have expected this. It’s a film that utterly defies convention, bravely carving its own unique, but surprisingly entertaining niche. Horror meets disco meets musical meets dreams meets fairy-tale meets sleaze. 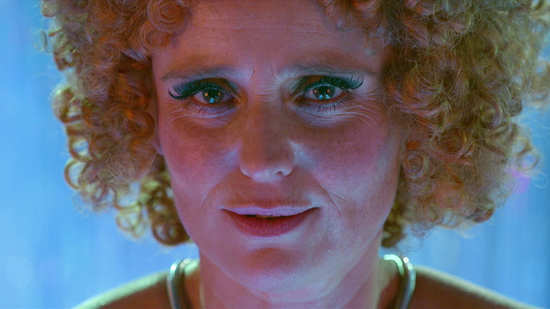 It’s fabulously unconventional in just about every respect, and yet is confidently rendered, well directed and well performed. 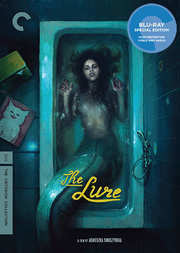 To be honest, I don’t think ‘The Lure’ would ever have got on my radar had it not been released by Criterion, a by-word for quality. It was a slightly obscure release, even by their standards, as it’s relatively recent (so hardly a ‘classic’) and not particularly well known here or in the USA. It’s also a debut movie which, frankly, is incredible as it seems so sure of itself with little in the way of cliché or ‘homage’. It’s really quite unique. 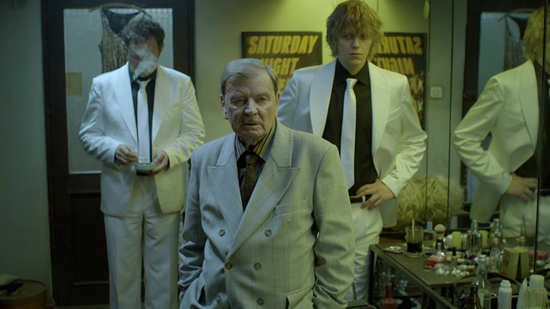 Apparently, Polish director Agnieszka Smoczyńska, was brought up by parents who ran a night-club in the 1980s. 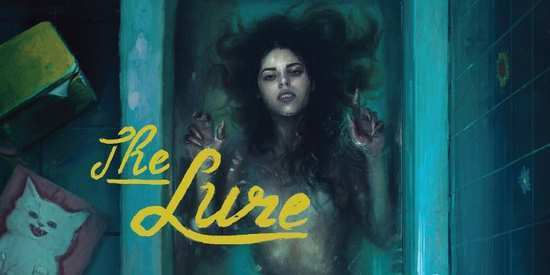 She was a huge fan of Disney’s ‘The Little Mermaid’ and somehow, in her muddled memories, ‘The Lure’ successfully marries this unique world view – whilst also turning it into something quite disturbing. Apparently a metaphor for growing up. Well, rather than get too Freudian, I’ll do my best to precis that narrative, though until you see the film and its context, it really won’t make much sense. Oh – and don’t forget, this is in large part a musical. With songs penned by twins (Barbara and Zuzanna Wronska) who were also brought up in a night-club in the 1980s. The film kicks off with a family of musicians (Mum, the singer, Dad the drummer, and very handsome (think Dougie from McFly) son on guitar) having a few drunken moments of abandon on a beach at night. At first the nightclub owner, a sleazy old guy with a pencil mustache, wants rid but when he realises what the girls actually are he persuades the band to work them into the act. Before long they’re the smash of the town and people are queuing round the block to watch their transformation. Which is great. Until Silver falls hook, line and sinker (sorry – couldn’t resist that) for the group's guitarist (Jakub Gierszal). In fact, she’s so smitten that she is willing to give up being a mermaid to be with him, mainly because, unlike some of the other sleaze-balls come to the club, he can’t return her lust for him while she is in fish form. In the meantime, Golden is living out her natural state to the full, devouring humans and living on human hearts. So when a series of wild murders take place in the town, suspicions start to fall on the girls. Silver and Golden communicate telepathically too so they are all too aware of the conflicting paths they are taking and know it can’t end well. I won’t spoil how things pan out here, suffice to say that the film is spell-binding from start to finish. In the accompanying interviews with both the director and the sisters responsible for the music, it’s clear that the late 80s were strangely magical times in Poland with the falling of the iron curtain and the partying that inevitably followed – all remembered through the splintered lens of a child’s memory. The films strength, straddling so many genres, could also be seen as its weakness. It crams so much into its short format that it’s hard to get a grip of it or classify it any way. Having given it some thought since seeing it, that’s probably no bad thing. We need more films as strikingly individual and original as ‘The Lure’. The film was shot on HD and so the transfer is utterly flawless, presented in its original 2.39:1 aspect ratio and looking really top-notch. The 5.1 DTS-HD Master Audio track really comes to life in the musical numbers which envelope you in a syrupy mix of new wave synth and disco. Extra features are impressive too, as is generally the case for a Criterion release. There’s a 40 minute featurette about the making of the film called ‘Off the Hook’ which features extensive interviews with the director, as well as the lead actresses (both incredibly young) and the composing sisters too – all in Polish with English subs. There are six deleted scenes too which run for about 20 minutes in total and which include alternate opening and closing scenes as well as song that was cut from the final version of the film – all worth a look. An interesting addition to the disc is the inclusion of two of director Agnieszka Smoczyńska's student short films, both showing incredible early promise and throwing some light on how she was able to direct and finance such an impressive debut feature film. First up is the 2007 drama Aria Diva (30 minutes) and the 2010 documentary Viva Maria! (17 minutes), both focusing on opera singers. There is also a fold-out printed pamphlet inside the cover which features essay by author Angela Lovell about her views of the film. 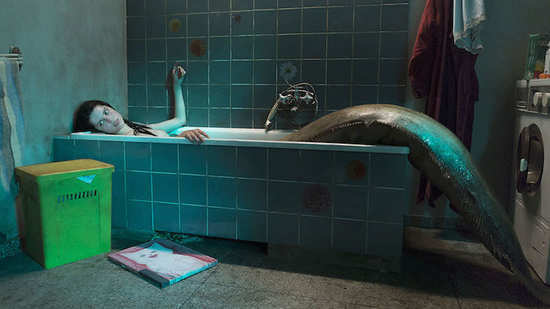 ‘The Lure’ really is worth checking out. I promise you it will be the most interesting, cross-genre film you will see this year and, despite being in native Polish, its wildly entertaining and thought-provoking. Which is not to say it’s perfect. But as a debut feature, it’s pretty impressive stuff and this Criterion edition is really excellent. As long as you’re not too squeamish, or puritanical, stick it on the Christmas list.